Smart travellers who grab a package deal on Expedia can save up to 15%*. Pick from more than 400 partner airlines and 321,000 worldwide properties via our comprehensive database of flights and lodgings. Fly with who you want, stay wherever you want — now that's a dream holiday! About to embark on your Turin holiday? Can't decide what sort of things to add to your travel itinerary? Don't worry — we're here to give you some suggestions. Travelling isn't just about destinations and swanky hotels. It's about the experiences you embrace and the unforgettable moments you collect on the way! 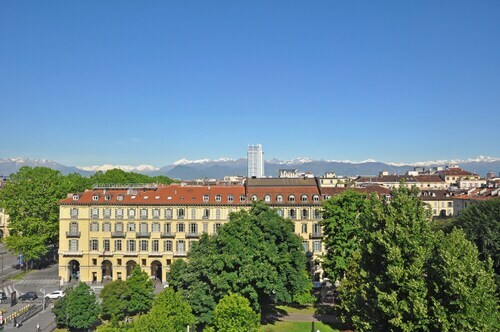 Take a look at our Turin things to do page for a complete list. You can expect a large variety of accommodations when you travel to Turin. With 144 properties available, it won't be a problem finding a nice place to sleep for your luxury getaway or cheap holiday. Organised the flights for your trip to Turin yet? When you get there, prepare to stroll out into Turin International Airport (TRN). It's 9 miles (14 km) from the terminal to the main streets of town. 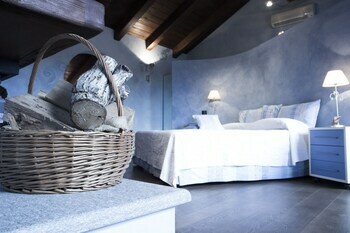 Located in Historic Centre, this hotel is steps away from Pietro Micca Museum and Piazza Castello. Piazza San Carlo and Polytechnic University of Turin are also within 1 mile (2 km). XVIII Dicembre Station is only a 2-minute walk and Turin Porta Susa Station is 3 minutes. Located in Lingotto, this romantic hotel is within a 15-minute walk of Lingotto Fiere and Torino Palavela. Piazza Castello and Polytechnic University of Turin are also within 3 miles (5 km). Lingotto Station is only a 2-minute walk and Spezia Station is 9 minutes. 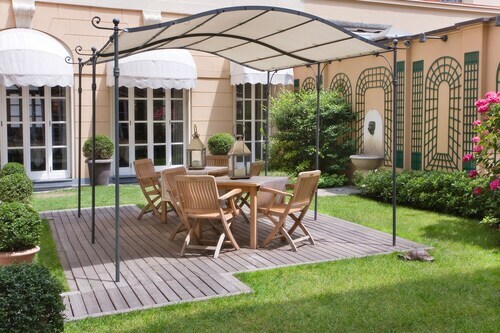 Located in Lingotto, this hotel is within 1 mi (2 km) of Lingotto Fiere and Torino Palavela. Polytechnic University of Turin and Piazza Castello are also within 3 miles (5 km). Spezia Station is 6 minutes by foot and Lingotto Station is 7 minutes. 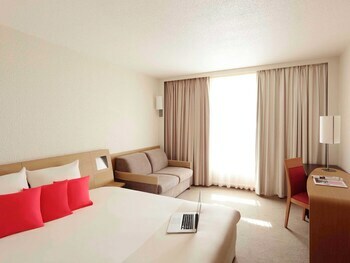 Located in Historic Centre, this luxury hotel is steps away from Via Roma and Piazza Castello. Piazza San Carlo and Mole Antonelliana are also within 15 minutes. Porta Nuova Station is 8 minutes by foot and Turin Porta Nuova Station is 8 minutes. 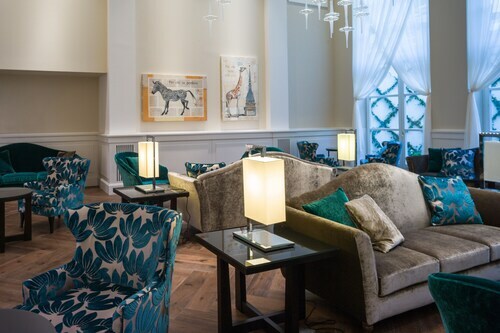 This family-friendly Turin hotel is located in the historical district, just steps away from Piazza Solferino and Piazza Castello. Piazza San Carlo and Turin Cathedral are also within 15 minutes. Re Umberto Station is 6 minutes by foot and Porta Nuova Station is 9 minutes. 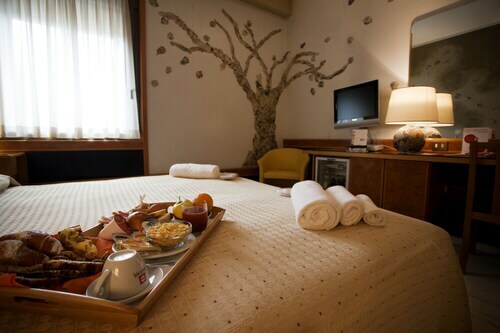 Located in Historic Centre, this spa hotel is within a 5-minute walk of Via Roma and Piazza Castello. Piazza San Carlo and Turin Cathedral are also within 1 mile (2 km). Porta Nuova Station and Turin Porta Nuova Station are within a 5-minute walk. 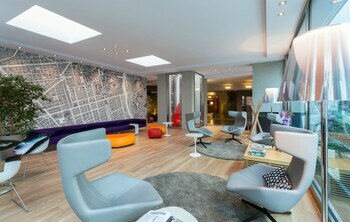 Located in Historic Centre, this hotel is steps away from Via Roma and Piazza Castello. Piazza San Carlo and Turin Cathedral are also within 1 mile (2 km). Porta Nuova Station and Turin Porta Nuova Station are within a 2-minute walk. 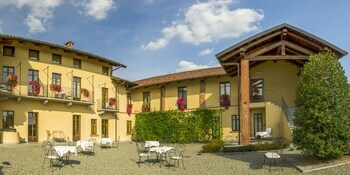 Located in Vittoria, this hotel is within 1 mi (2 km) of Turin Eye, Santuario della Consolata and Museo Ettore Fico. Piazza Statuto and Mercato di Porta Palazzo are also within 1 mi (2 km). Turin Dora Station is 8 minutes by foot and Principi D'Acaja Station is 22 minutes. LON-All Airports - Turin Intl.